Dr. Truyen O'Learywelcome to Family Dentistry at Hawks Prairie! We appreciate the opportunity to provide you with the most positive dental experience. Our team knows that going to the dentist is sometimes not an easy thing to do. With that in mind, we are committed to providing you with compassionate dental care in a warm, friendly environment. We are conveniently located in Lacey, WA close to Joint Base Lewis-McChord, Olympia, and Dupont. Getting to know you is important to us. Our office is not a dental mill. You will see Dr. O’Leary every time! We will never take your trust for granted. We know you have choices and a long-term relationship with you is our mission. We take comfort in your comfort. We’ve designed our office with your comfort in mind. We offer complimentary laughing gas, blankets, TV, ETC. Dr. O’Leary comes from a family of nine children. It makes her day when kids have fun at the office! I love this place. They are the most friendly staff and have taken such good care of me and My family. I have a 12 and 16 yr old that love going to the dentist, who else can say that. I would also like to say they are the first dentist in my 19 year military career that have show a genuine appreciation for our service and sacrifices myself and family have made. Thank you Thank you Thank you and I would recommend them to my closest family members. Well it’s been about a year since I’ve been back but I went in for my cleaning about a week ago Friday I know it was a short notice but they got me in early morning and as always they are pleasant and friendly happy smiling even though it’s was 7:30 in the morning everybody did a great job thank you for always making feel welcome!!! Your all the best and god bless you you all always . Dr. O’Leary is so professional and comforting. I need a lot of work done and she has been so patient with me and making the process so smooth. The office is so warming and the staff really makes you feel welcome. Excellent job! Keep up the great work. Every dentist office I visited before was completely third world compared to Hawks Prairie family dental. They are very friendly, they work hard to take care of you and best of all, my visits have all been comfortable and relaxing! The folks here are honest and caring. I’ve been a client for 6 years and they have been awesome every time! I've had bad experiences with dentists in the past which is why I haven't been to one in years. I'm glad I picked this office to go to. They listened to my concerns and were very nice and understanding of my tmj condition as well. They made me feel comfortable. I'm happy to be their patient. My family has been patients with this office since 2007 and they have always accommodated our dental needs. My children have grown up with them. And they are very family friendly. They are equipped for my advanced dental needs. I highly recommend this office for your dental needs. Great office, great drs, great service! I was recommended to see Dr. O'Leary by a dear friend who has been taking her kids to her for over 8 years! Every visit I have is warm and welcoming. Dr. O'Leary is not only knowledgeable but realistic. Any issues found are fully discussed and explained. There is never any pressure or shaming (which I have experienced at other dentists). Plus my teeth look and feel amazing. Much love to all the hygienists as well. My teeth feel fantastic after every cleaning! Dr. O'Leary's team is always super friendly and knowledgeable. I'm always greeted with a smile, and given the best care. Everything is explained very clearly prior to procedures and the office is very clean. They make sure you receive the best care possible and are patient with you. The best dental office I have ever been to. I am so glad to have found them! I’m a new client and staff was extremely friendly, welcoming, and professional . Clinic was very clean and smelled really good. They even gave me a warm blanket while I watched tv during my cleaning! Efficient use of my time with minimal waiting between checking in and procedures. Clearly communicated every step and was gentle while working on my teeth. I am glad I chose them and definitely refer this dentist to others. Very welcoming staff and the atmosphere was calm and relaxing. I’ve never been given a blanket and offered water at the dentist before, it was wonderful. I also liked that the dentist walked me through every step of the procedure and had such a gentle touch. I’m so glad to have experienced such kindness and professionalism! We have been going to Dr. O'Leary for about 1.5yrs now and we love it! My 2 children ages 2 and 5yrs love coming here and they always make it a fun experience for both of them! Dr. O'Leary and her staff are always very patient with them I like how she explains to me and them what she is doing and why. The office is immaculate with a beautiful salt water fish tank and little play room that the kids love. Definitely recommend them for adults and kids! My name is Nasiba T and every time I come here they take good care of me, are quick, and have never given me a reason to complain. I have full faith in my dentist and dental techs. Thank you! We have recently moved to this area. We saw the reviews online and were very pleased with the quality of the service. The cleaning, exam and X-rays were are very professional. The staff welcomed me and were attentive and helpful during the entire process. The best job of X-raying, cleaning, and examining my teeth that I had in years. I absolutely love this office. All of the staff is courteous, friendly, and quick. At the end of my visit, everything was in detail on what needs to be done in the future. They are absolutely fantastic. I would recommend this dental office to everyone. I am so glad I found this office! Dr. O'Leary is hands-down the best Dentist around! Excellent chair-side manners. She put my daughter at ease after a bad experience at another office. Her staff is equally awesome. Every one of them is helpful and pleasant. They offer you a warm blanket, put the TV on for you to watch while in the chair, talk you through the entire process, let kids pick out a small stuffed animal after their visit, and even fed me a muffin before my procedure so I wouldn't feel light headed. If I could give more stars, I would! Needed a new dentist after moving. I am so happy I chose this office. They have wonderful customer service, kind staff. I arrived and was offered water, after being taken back I was placed in the dental chair that had a pillow for my neck and lower back then was given a warm blanket. They also have a personal TV for you to watch. The Dr was very nice, soft touch and didn't try to upsell me on things that so many other dentists do. Great experience! Hands down the best dentist office in the PNW. Very clean facilities with most courteous staff. They really treat you like family every time! Where else can you get a pillow, blanket and watch TV while in the chair? Here that’s where!!! Highly recommend you let them take care of your dental needs! 100% best dentist I’ve been to hands down (I’ve been to plenty due to our military family) and I would recommend this place to everyone. Everyone is very kind and they take care of every patient that walks through their door. You can watch tv wrapped up in a blanket while you get your teeth worked on and that alone is better service than most. My boyfriend Raymond Ortega had not been to the dentist in many years. His visit to Family Dentistry at Hawks Prairie was a ton better than what he was expecting. The staff were warm and inviting, making his experience there great! He has been telling everyone to go there! Wonderful experience! Everyone is extremely nice and knowledgeable. I also took my toddler in for an initial checkup and he had just as pleasant of an experience. 10/10 Highly recommended to all! My experience has been exceptional here. The staff is amazing and take time to talk with my daughter's during their visits. I love the communication and care they provide. I highly recommend anyone to come here. Hands down the best experience I've ever had at the dentist. From the time I called to make an appointment to the time I walked out the door after my first visit / exam I was treated with kindness and compassion. Everyone from the receptionist to Dr. O'Leary was very professional, Helpful and went out of their way to make the visit as pleasant as possible. The office is very tidy / clean and it's obvious they take pride in what they do. I've already recommended them to several family members and Friends. I have been taking both of my boys ages 11 and 9 here for the past 6 years without a grumble! 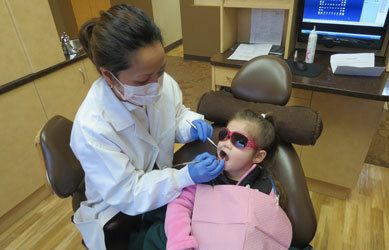 If you are looking for an outstanding pediatric dentist, you cannot go wrong taking your children to Dr. O'Leary. You will find a dentist with a thoughtful, measured, and safe approach. The office is professional and reasonable, and for that, I trust them! I would give 10 stars if I could.. I LOVE Dr. O'Leary. She addressed my dental phobia with so much genuine concern and care. I don't plan to ever see another dentist. Now that I live far away... I still plan to visit the area just to see her for my care. I can't say enough about how much she made me feel cared for, understood and just comfortable despite my severe fear of dental work. She may not even remember me but I tell everyone about her and my great experience with her. She's the best! Amazing as always! The staff is phenomenal and they really make you feel welcome! They always give a warm blanket and they also tell you every step they’ll be doing! It really helps with my dental anxiety and I also always know what they are talking about. By far my favorite dentist office! I have been under Dr O'Leary's care for 10 years and I can tell you the this is the best dentist I have ever seen. The staff is friendly and eager to please, the hygienist are gentle and efficient, and the whole office makes you feel like family. If your looking for a great place for your dental needs then you have to try this place. Dr. O’Leary and her staff are very caring and professional. I just moved to the area and had part of one of my molars break. They were able to get me in almost immediately. Dr. O’Leary was thorough with her exam and discussed in detail my options. I also had a cleaning done and the hygienist was excellent. Great experiences in this office! I highly recommend. Best dental experience ever. The office is very well appointed. The staff is super friendly and work hard to make you comfortable. Dr. O'Leary provided the best exam and review that I have had in a long time. I like the early appointment times. Very convenient and efficient. A friend referred me here, I have a fear of needles and can be very emotional. But this team at Family dentistry are amazing. I have never felt so at easy at any dentist office. They are so kind to me and always make sure that I am comfortable. They go above and beyond to take care of you, when I come in I’m always greeted by my name and with a smile. This dentist office has exceeded my expectations and have spoiled me rotten. Thank you Family Dentistry at Hawks Prairie for all that you do. I can not say enough good things about Dr. O'Leary and her team! From start to finish, from the moment you walk in until the moment you walk out, they are AMAZING!! I am one of those people who fears the dentist chair, because I am a redhead, and I have a hard time with anesthetics. Let me just tell you that they did an EXCELLENT job getting my mouth numb so I was comfortable while they fixed my cavity. I am also a stay-at-home, over-protective mama bear mom, and they have a kids corner for the babies to hang out while you get your teeth worked on. My son was able to walk back and forth when he needed me, and I was comfortable with him hanging out up front, because all of the staff keeps a good eye on things! Thank you so so much for being awesome! I am sad that I am moving away, being that we are an Army family, but I highly recommend this Family Dentistry office! They even fed me a muffin before getting my cavity filled so I handled the anesthetics well. WONDERFUL PEOPLE here! Who really wants to go to a Dentist? Certainly not me. Been trying to gather up the courage to just have a cleaning done for the past year from Dr. O'Leary's team. You really have to try this place. My experience was the best, and did not want to leave, now can't wait to go back again. Dr. O'Leary, Dental Techs, and office staff were super nice, funny, very professional and make you feel like family. They really do show genuine care for dental needs, plus offer you to watch TV with a blanket and pillow. I went here for a dental checkout and it was great! The people are kind and they give you a pillow and a blanket during the appointment. This is the best dentist I have ever been to. Has always done a great job and everyone is very professional. My wife and I feel very fortunate to have found this office. From root canal to routine cleanings patient comfort is a top priority. Strongly recommended.Blaine A. My #1 choice for dental care. My first dental clinic after retiring from the Army. I am very impressed with Dr O’Leary and her entire staff. They are friendly, knowledgeable, and most importantly, treat me as a partner in the health of my teeth. They explain what they are doing and the results of the x-rays and treatment plan. Tricare friendly, I recommend them. I've been going to Dr. O'Leary for over 7 years and I cannot possibly recommend Dr. O'Leary highly enough. 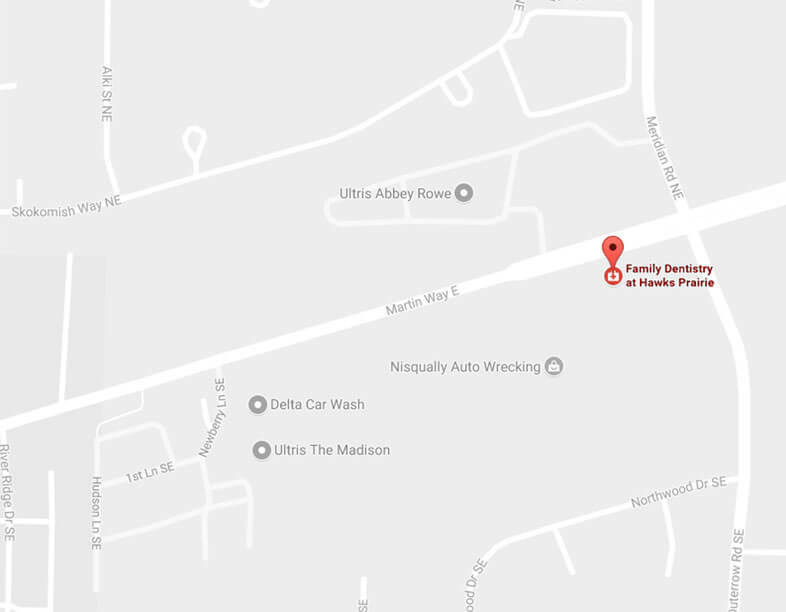 If you are looking for an attentive, comfortable, pleasant, and personal dental experience, you'll be very pleased with Family Dentistry at Hawks Prairie. The staff is very friendly and welcoming as well as professional. It is evident that that the patient experience is handled with the upmost consideration in every aspect. Children are treated with interest & encouragement, and enjoy the playful accommodations that are tailored to them. The clinic is neat, clean & peaceful. Dr. O'leary and her staff are absolutely amazing. I have been getting my dental work done here for 3 years. Last year I moved out of Lacey and I still commute to this dental office because they are by far the best I have ever experienced. You will not be disappointed. My experiences here have been excellent. Their office is very family friendly. Dr. O'Leary recommended a night guard but wasn't pushy about it at all. I appreciate her honest and gentle approach. I would recommend this dentist to military families in the area looking for a dentist for their whole family. Staff is courteous and helpful. I was waiting for my appointment time and the man in front of me had his daughter and he was called for his exam. The lady upfront entertained the little girl so the dad could get his exam done. Everyone working there had a calm demeanor and did the job well and fast. I would recommend this place to anyone looking for dental care. I have been a patient at Family Dentistry for several years. This included cleanings through my long time experience with braces. The entire staff has always been friendly, kind and considerate. Dr O'Leary is amazing, she always remembers me and we have wonderful conversations about our latest adventures. They are not only professional staff, they really care about you. I now live in Gig Harbor but will keep Family Dentistry as my dental care provider even though I have to travel a bit to get to there office. They rate a 10++ in my book. Probably the best dentist office I have ever been to. Not only are they incredibly concerned with your comfort throughout the whole experience but they also have the best facilities ive ever seen. With warm blankets, great pillows, and a TV right in front of you I at many times forgot I was numb and having my teeth drilled. If I have any say in it, this will be the only dentist I and my family will ever use. Thanks for the great experience. As a new patient of Dr. O'Leary and her team today, I highly recommend their services. I was able to get an appointment within 24 hours of calling. It was great to be able to do most of the "intake" paperwork online. They were able to address concerns with clarity and helpfulness, even catching me in the parking lot with additional information. Well done all! Today I went for my 6 month teeth cleaning. I have braces so sometimes it’s hard to reach certain areas. I drink a lot ofTea also so I had some staining on my teeth. After my cleaning I couldn’t believe how clean my teeth were all the staining was gone. My teeth looked brighter and whiter than ever. I travel a lot being in the military but this has to be the best dentist ever.Thanks so much to the awesome staff if you want a beautiful smile go there. My family and I are military and have been a patient of Dr. O’Leary’s for nearly 8 years. We’ve actually moved away for a year out of state and missed our dentist and her office! We couldn’t wait to establish care again with her when we were back. I’ve actually heard other families say the same as we don’t take for granted her staff and amazing care! They are always so warm and welcoming. Will always go out of my way to recommend them to other families and they are so understanding of simplifying the process for scheduling kids and adults (sometimes seen simultaneously!) They have a great kids play area and keep the environment light and fun. Highly recommend this office! I don’t know why you would go elsewhere if you are in the area! I've been coming to Dr. O"Leary for over 10 years. Her and the entire staff treat you like a friend. They are also pretty good at dentistry too. Take it from an old timer that's been around since medieval times and you had to spit in one of those little toilet bowls, Family Dentistry is as good as it gets. I don't like going to the dentist but I found them to be the best most competent dentist I have ever been to and I am 64 years old. My wife and I both now go to family dentistry at hawks prairie and would never think of going anywhere else, they make going to the dentist a pleasure instead of a horror. They are quick gentle affordable. We came by yesterday with when my daughter fell and damaged one of her front teeth. They were the only dentist office that had immediate openings and were willing to accommodate us during a stressful time. The office is clean and updated and the staff is so kind. The dentist made a stressed out mama feel at ease and did a fantastic job taking care of my little one. I highly recommend! This is the BEST dentist I've ever been to! The office is so nice; it's clean, they give you blankets, and they have televisions that drop down in front of you while you are being seen. Dr. O'Leary is SO SO nice. She was extremely thorough, very clear about what she was doing step-by-step, and very clear about what the goals were for my dental health. She didn't try to sell me on all kinds of crazy and expensive work, as others have done in the past. The tech was really thorough with my cleaning, as well. I didn't have a surprise bill at the end; billing took care of everything prior to my appointment. My daughter and I both had a great experience here. She even got a stuffed animal at the end! I would highly recommend this office to anyone looking for exceptional dental care. I've been a patient here for at least 5 years and have recommended them to all my friends. Dr. O'Leary is so friendly and seems to really love her work. All the hygienists I've had are very gentle. Going to the dentist here is not stressful. Thank you for the great work you do! Just a great dentist experience overall. I know some people may fear going to the dentist, but I promise you they make it as comfortable as possible. The chairs are comfy, they always provide a blanket and pillow, and you get to choose the TV channel you’ll watch during your appointment. The staff is very friendly and will keep a conversation going so that you never feel awkward and uncomfortable. Also, there is a little clubhouse/play area for kids and a nice, attractive fish tank in the lobby. Ocassionally, I will also be offered something to eat for breakfast. My family and I have been seeing Dr. O'Leary and her staff for about 2 years now. The atmosphere is very friendly and courteous to all who walks in. Everyone in the building greats you with a big smile and the receptionist goes out of their way to greet you even though they are busy. On this particular day I went in for a cleaning and the moment I was called up the hygienist introduced herself to me, because I have not seen or met her before during past visits and like everyone else she greeted me with a nice smile. Before we got started she made sure that I was comfortable and nice and warm with a cozy blanket which is the norm at this clinic. Cleaning went really well and I was pleased that the hygienist took the time to explain things if needed. When complete Dr. O'Leary came in to ensure all is well with the cleaning process and answered any questions I had. My experience as usual is a pleasant one and that's why my family and I trust and return to Family Dentistry for our dental needs. If your looking for a dental clinic that has a positive atmosphere, professional and knowledgeable staff than come to Family Dentistry and experience it for yourself. I have been here a few times and each time I thoroughly enjoyed my experience here. The staff is extremely friendly and seemed very practiced at making people feel comfortable while visiting a dentist. In an office with drills that would make one think of a horror movie scenario, I was certainly made to feel very comfortable. The care and attention to my smile was very satisfying as well. The anesthesia was applied quickly and smoothly. The following procedure was handled efficiently and competently. It might get seem like I am praising very basic things but strong basics make for a much stronger foundation for more complex procedures, from a simple cleaning to root canals. If you want a capable dentistry that sends you on your way feeling comfortable about your next visit and confident about your smile I highly recommend Family Dentistry. The whole family is always satisfied. My daughter had her root canal here when she was very young and the results were, and still are, solid and long lasting. From my review you may have noticed that I can describe my experience and my family's experience in two words: comfortable and satisfying. I would highly recommend anyone who wants that for their own dental experience to go and visit Family Dentistry. The staff is always so friendly and quick to get you an appointment! I never get lectured about my teeth! if I need a cleaning I go right in, get my teeth cleaned and out the door I go same with any other work I need to get done! I have never had a bad experience nor do I ever expect it in the future! The ladies at the front are very personable and they make sure all your questions are answered without feeling like an inconvenience. I love Dr. O'leary and her whole staff. They are by far the best practice I've ever come across, and I am a difficult case. They're always so nice and gentle and considerate. 10/10 would recommend to anyone , especially unique cases . I've been going to Family Dentistry for a few months now. I must say this is the best dentist office and staff I've ever had. Everyone is always super sweet and full of joy. It is always a pleasure every time I visit and its never along wait time. Best dentist in Lacey for sure. I chose this dentist based on other reviews and I was not disappointed.Dr. O’Leary and her staff are excellent. They make visits to the dentist as comfortable as possible, are very efficient, and explain everything so well! Very professional and friendly and if you’re looking for a new dentist, I highly recommend them. We've been with Dr. O'Leary almost 3 years and have enjoyed excellent dental care in a relaxing atmosphere. I’ve recommended several friends and family members. You have a great team! You can tell a lot about a dentist by the people who work in the office or as assistants. 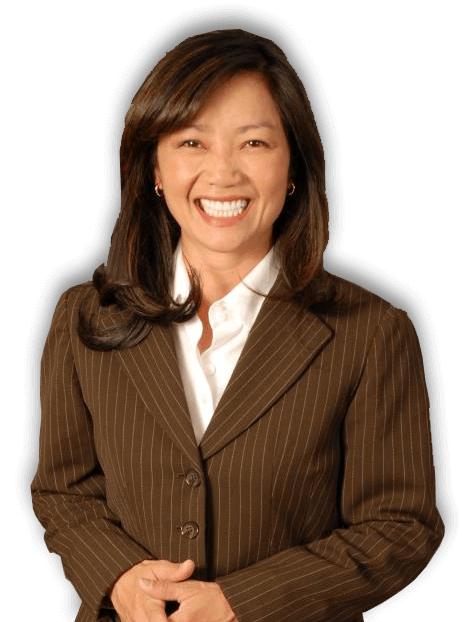 Dr. O'Leary's staff are always professional and cheerful and she is very kind and efficient which is most appreciated by me as I am an anxious dental patient! She answers my questions, encourages me to feel like I am in charge of decisions about my dental care, and is not condescending like previous dentists I have seen. Best dentist office ever!! I highly recommend this dentist office! The staff are very welcoming and friendly and make any dental procedure go smoothly. They bend over backwards to make sure I am always comfortable and that all of my needs are met. I can’t say enough good things about Dr. O’Leary and her staff. They treat you like they have known you for years and you are part of the family. Dr. O’Leary is so patient and explains everything! My kids have even commented how much they like her and they don’t worry when they have to go! Just recently moved here & had my first appointment last week. Everyone was extremely friendly and patient oriented. Everybody made sure I was 100% comfortable at all times during my visit and I understood everything that was happening. They discussed my x-rays with me and showed me everything I needed to know. They were super gentle on my teeth & the doctor herself seemed like she really cared about my issues & was very personal. They definitely deserve their 5 stars!!!! Had my first appointment this week and was greatly impressed! The Staff is extremely friendly, talks your way through everything they are going to do, and I'm positive everyone found out I was pregnant and came out to congratulation me 😊 I have had been through a couple of dentists in the area who were less than honest. Dr. O'Leary was the opposite, she radiates friendly and honest. I'll definitely be back. Highly recommend! Dr. O'Leary and staff are awesome. Best fillings I've ever had. I didn't even feel the first shot. Prices are very reasonable. How many dentists have you ever wanted to do a selfie with? Dr. O'Oleary is one of the best dentists I have ever been treated by. She efficient, caring answered all my questions and concerns clearly. I could relax in her very capable hands. Dental assistant Sara was so very nice. She gave me nice warm blanket after I was seated.The staff in the office were very friendly, and made me welcome.I appreciated their attention to my whole dental experience and would recommend Dr. O'Leary and her staff to anyone. I have never been a fan of the dentist chair. I Just returned from my scheduled cleaning where Cami the hygienist took excellent care of me as always. She has a very claiming way about her which I really appreciate.Dr. O'Leary is the best dentist I have ever seen and I've seen a few. I now have beautiful crowns in the front and am on my way to complete dental health. I salute the entire staff at Family Dentistry at Hawks Prairie. Edit 10/28/17: Just back for a permanent crown after getting the old tooth ground down and prepped for the permanent. It could not have gone smoother, form the prep work and temporary tooth, to the installation of the new. The new tooth is a perfect match and I could not be happier with how it is working out. Thanks Doc.I've been attending this dental practice for a little over a year, so that is 4 visits now, 3 cleanings and a filling repair. With each visit I am amazed at how friendly the staff is, and how much they can remember about previous discussions. When one considers their volume of patients, it is amazing the amount of details they can remember. Whitney remembered discussions form a year ago that I had totally forgotten about.All the while procedures are going on, the staff are keeping you informed, ensuring that all questions are answered.I cannot rave enough about Dr O'Leary's "bedside" manner. She is awesome and I hope to continue at this location for years to come. I work at a place that offers horrible dental coverage so I avoided the dentist like the plague for over 10 years. I of course ended up with a horrible toothache and I finally couldn't ignore it anymore. I started calling around to find a dentist that was close to me, as well as affordable, since I would be paying out of pocket. Hawks Prairie Family Dentistry offered me a great new patient deal so I made an appointment. I found out later I had A LOT wrong with my teeth after neglecting them for years. I worked out a dental plan with Dr. O'Leary that was flexible to my schedule and my budget. Sometimes she doesn't even charge me for some services because I pay out of pocket, which I'm extremely grateful for. The office as a whole is great, friendly helpful staff, and assistants who actually understand my needs and situation! I would definitely recommend this place to anyone looking for a dentist. Family Dentistry at Hawks Prairie is by far the best dental facility I have ever been to. Dr. OLeary and her staff makes you feel right at home. They are always willing to work with you whether it be scheduling or changing your appointments. My entire family has made Family Dentistry our family dentist. If your looking for a dental office that does excellent work coupled with a warm and family environment, I highly recommend Hawks Prairie!! they make going to the dentist fun!! My family has been coming here for close to a year now and we couldn't be happier with the service we receive. Every single staff member we have worked with has been professional, gentle and extremely nice! We look forward to keeping them as our family dental team. I really love this place, and am glad that I found it! Very professional but also very personable. Dr. O'Leary and Assistant Sarah made me very comfortable as I had my fillings procedure recently. They were always making sure I was comfortable during the procedure and that made me very happy to see such care! And as always the staff is wonderful and always remember me, adding a home doctor feeling. Very happy with my experience and care. Love Family Dentistry at Hawks Prairie! The atmosphere is warm and welcoming. The staff is very family oriented and genuine, and they take their time and provide great feedback. We found our perfect Dentist! 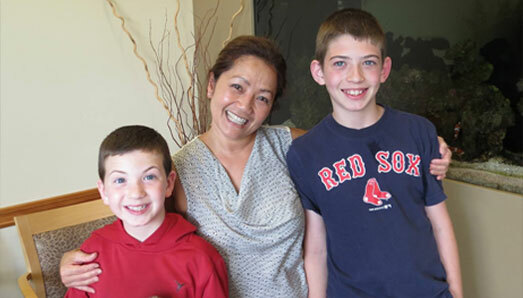 Dr. O'Leary has been treating our family for over seven years. We have five children, all of whom she sees, as well as me, my wife and my in-laws. We have always been warmly received, and the level of personal attention from her staff is outstanding. They have worked diligently with our insurance company when there have been billing issues. And most importantly, they have provided us with top notch dental care. We have moved around a lot with the military, and this is our best experience of all. Dr O'leary is wonderful! The staff is super friendly! My kids just love the toy room and the staff. I used to hate going to the dentist, but after being a patient here I don't mind it anymore. Dr. O'Leary is absolutely the best! Always upbeat and positive every visit. The staff is OUTSTANDING and make sure everything is perfect. Thanks for another great visit! Dr Oleary and her staff are just great. They have been treating my family for years. They make my family and I feel like one of their own. Anytime I have billing questions about my insurance they are always patient with me and ensuring that I understand. I am retired military and we all know how sometimes we are treated like cattle. This is one office that will treat you with respect and kindness. It took me years to find a dentist I loved. Everybody at Family Dentistry is respectful and wonderful. I feel in love with them on my first visit. They take their time, have authentic conversation, and take wonderful, careful care of my teeth. I trust them with my whole family. I am usually terrified of dentists offices but I have never been happier or more comfortable in my life! They are so educated, sharing all the details through every process, compassionate with young children, & patients with fears!!! 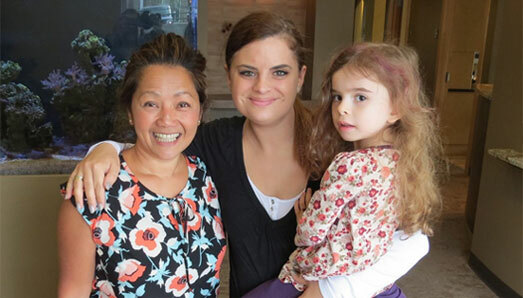 Dr. O'Leary & her entire team have treated my children & I amazingly every single visit! We are very happy patients & will be coming back for as long as we are in the area! Thank you! I'm so glad I found these guys! I have always been scared of going to the dentist ever since I was a kid. The staff here totally understands that and they go above and beyond to make sure that I am comfortable. I now actually look forward to going to the dentist! I recently moved further away from the office but best believe I will be commuting to go see them! There is no way I'm trusting my teeth no anyone else! Thanks for being Awesome! update: I have been seen here several times now and the experience is consistent every time. They will treat you with the upmost care weather you are a new patient or have been there for years. They are all super friendly, gentle and sincere. 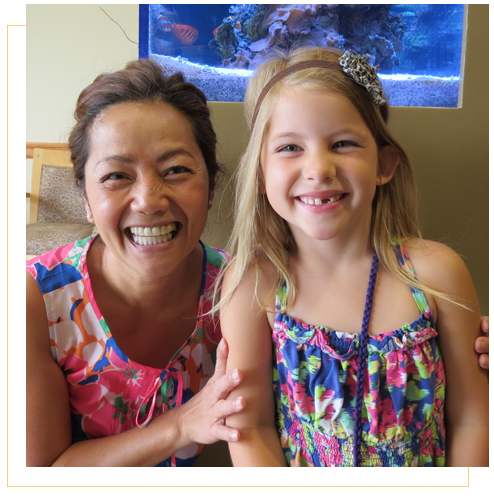 Family Dentistry of Hawks Prairie is absolutely amazing! As an adult it took me a long time to commit to going back to the dentist for routine check-ups. But as a mother, I knew it was even more important to make sure my kids could go somewhere where they would get the attention they deserved and with people that would treat them well and keep us informed. Every time we go in they greet us by our names, without hesitation, they immediately get us back into the chairs and get working. My girls love that they can watch TV right in the chair, play in their toy cave and they are always so accommodating on the cold days and quickly offer up warm blankets! What other dentist office does that? 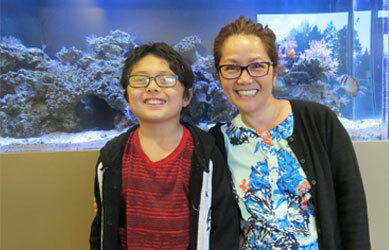 I would definitely recommend them to anyone looking for a dentist that can cater to the needs of young children, teens and adults of all kinds. They never disappoint!! Lacey Dental Office Family Dentistry at Hawks Prairie!